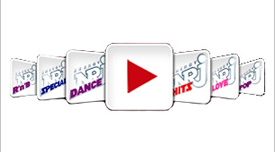 There’s no other show on the airwaves that brings together a superstar crew oF DJs like NRJ EXTRAVADANCE. Inspired from today’s hit music, the DJs dictate your mood on Friday & Saturday starting at 10 pm. The biggest names in the industry drop by as well, like Avicii & Afrojack to make the show one of the biggest on the international stage.